An analysis we released to Members some time ago told of how the first races of the day were better betting propositions than the later races. Race 2 Wagga gave us an extra dollar profit. Personally I would have said, well $5.6 is an above average dividend so quit now but others would say three races two winners, thats above the average win strike so quit now. The choice is yours but with my busy days I tend to take the first profit and quit and bear on mind I bet $500 per race. Users often find a 90% winning days and one Member achieved 100% winning days for a whole month. That’s not to say you wont have days where you lose every day for a week, all things are possible. 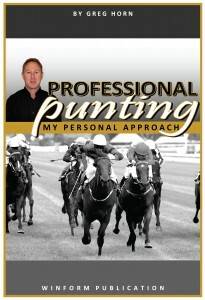 I’ll post from time to time while I am on holidays with random thoughts on punting ideas and philosophies Ive learned over the year. Plus there will be other contributors. P.S. I will endeavour to add new subscribers from my overseas base but my usual 24-48 hours to respond may be longer than that. Surely all our subscribers woke up richer today. The All Aged Stakes was just one of our good results Laburnum $12 + was another one. The Highstrikers Last Minute Mail had 10 wins from the 18 races and some very good prices and the specials , even with just one win from 4 made a profit. Today we have a mixed bag of races across Australia and there’s the Penola Cup and our choice for our Daily Feature Race the Stawell Cup. No doubt those race meetings and all of those on today will be well attended with probably 50% of us on the move. Of course I work today but with this post I sign off after doing heaps of work since 6 a.m. this morning. Enjoy the day and Ill see you back here for the Easter Monday holiday. 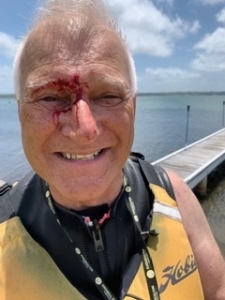 And yes, I’m taking the grandkids sailing today, without the bloody forehead I hope. s a lot alotta work.